The Waffen SS Wehrpas of Storm Trooper of Karl Ranst - 52 Pages with clear entries, extrememly fine condition. Footnote: Karl Heinz Konrad Ernst Ranst was born on the 25th of June, 1924 in Gennebreck, near Arnsberg. 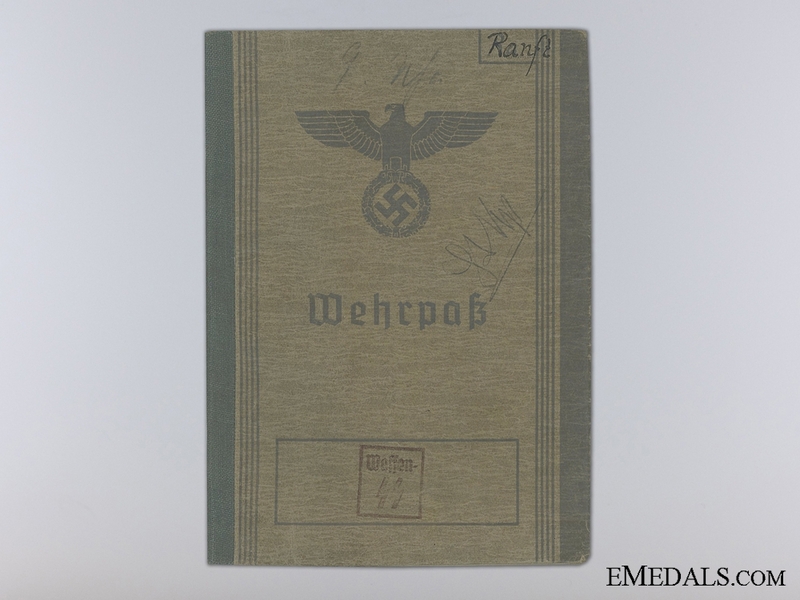 He was a born citizen of the German Reich, and put his religion down as believer, choosing not to identify with a mainstream religion of the time. He was unmarried at the time of issue in 1941, and was trained to work as a white collar clerk. His father was Karl, who worked as a construction foreman, and his mother was Agnes, nee Bischoff. He continued school after primary, and attended a business school. 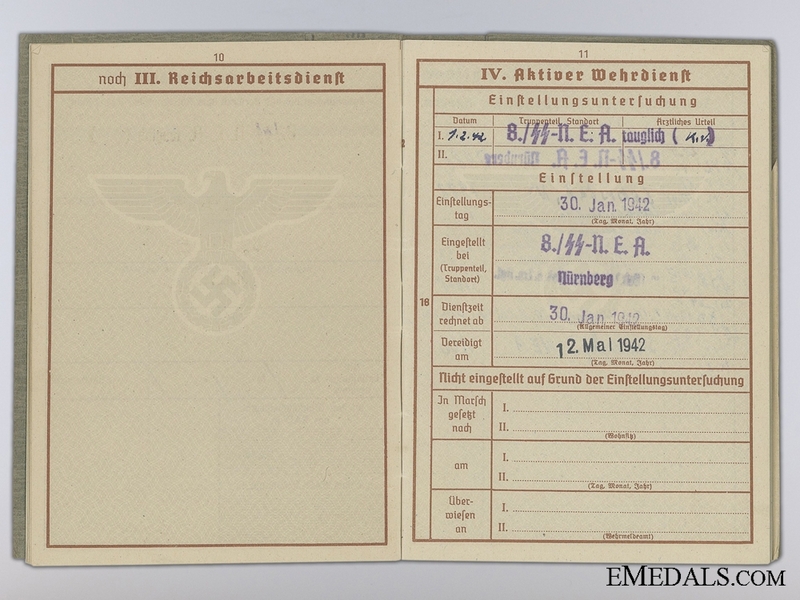 He volunteered for service on December 23rd, 1941 and had his medical examination in the neighboring town of Wuppertal. He was deemed combat ready and placed with the first reserves. On the 12th of January 1942, he was taken on by the Waffen SS as a volunteer. He was posted to the Nürnberg 8th SS N.E.A on January 30th 1942, and officially sworn in on the 12th of May of the same year. In the same year he was transferred to a special training staff, and in 1943 took part in the signal school of the Waffen SS. He spent the remainder of the war in signals divisions. 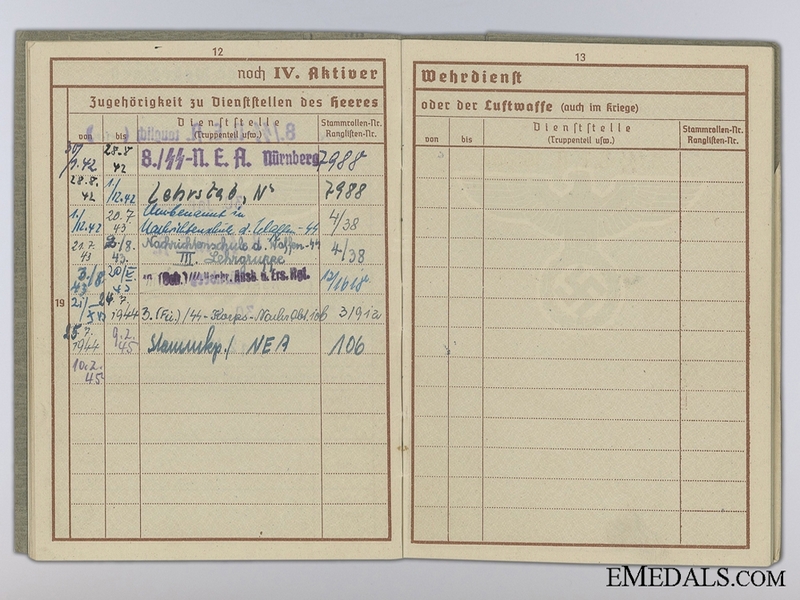 The last entry is from February 10, 1945, and remains blank. He was trained with the standard 98K rifle and was specially trained as a radio operator. 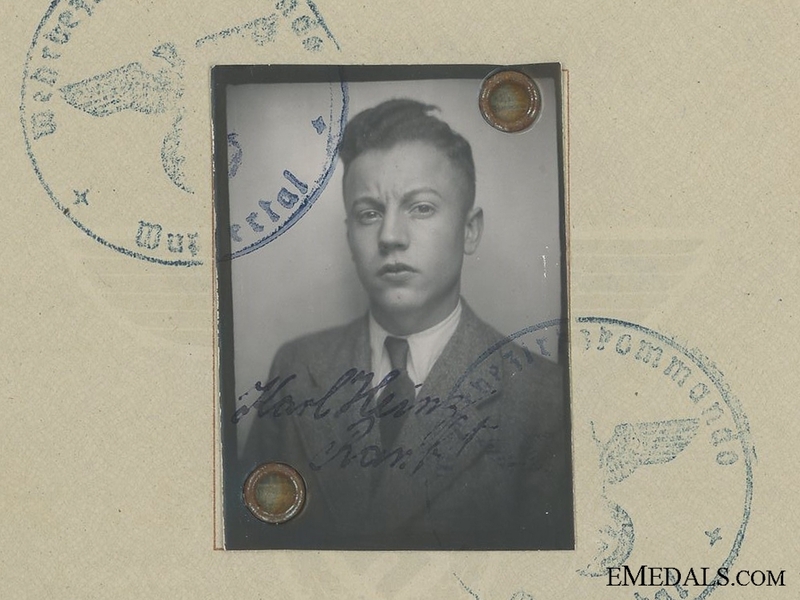 A stamp indicates that from September 4th 1944 to January 25th 1945 he successfully trained at the SS Signal School. He was also instructed in counter espionage. August 1st 1942 he was made an SS Oberführer, roughly equivalent to the rank of brigadier. March 1st 1943 he was made an SS Sturmmann, a storm trooper. January 1st 1945 he was made a candidate to the rank of Unterführer. 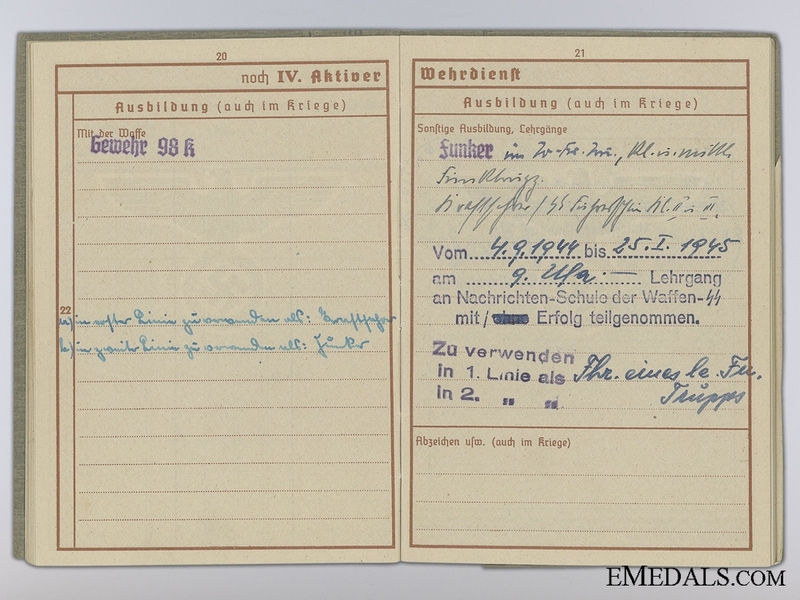 There is an entry indicating a promotion to the rank of Section Leader on April 20th 1944, but it is crossed out. He received no awards or commendations, which seems in keeping with his steady trend of demotions. On December 17th, 1943 he was deployed to Russia. July 6th 1944 he served with the 106th SS signal division until the end of the war.